Ah, diarrhea – the dark side of pet ownership. Every pooch parent will have experienced an explosion from their pet’s behind at some time or another, and it’s familiar for many different reasons. Doggy diarrhea isn’t just messy though – it’s also potentially worrying and dangerous, as it could point to a health concern. On other occasions, however, it may just be a simple matter of what enters your dog’s body needing to make its way out – and that’s not always pretty. If your dog suffers a bout of diarrhea but doesn’t show any other adverse behaviors, it may just be a passing problem. Let’s dig (if you’ll pardon the expression) into the icky and stinky world of doggy diarrhea, and learn how to react to this issue – beyond cleaning it up, naturally. We’ll look into the question as to whether dog diarrhea poses any health risks, how to treat the problem at home, and what to do to prevent diarrhea from occurring in the first place. 1.1 What Are the Types of Diarrhea in Dogs? 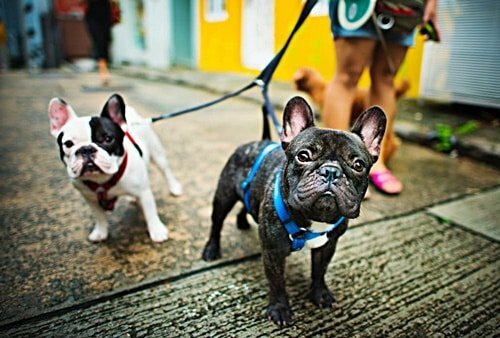 2 What are the Causes of Diarrhea in Dogs? 2.2 What Are the Medical Causes of Diarrhea in Dogs? 2.3 What is Antibiotic-Induced Diarrhea in Dogs? 3.1 What is the Ideal Size, Shape, and Color of a Dog Stool? 4.1 Should I Stop My Dog Eating and Drinking After a Diarrhea Attack? 5.2 Can I Give My Dog Imodium for Diarrhea? How do you define the word ‘fine’? If your dog has had a single bout of diarrhea but seems to have shaken it off, then that is fantastic news. It happens, and maybe there’s no reason to panic any further. However, keep a steady eye on your dog and make sure that there is no repeat performance. A single, solitary bout of diarrhea suggests that your dog’s body has acknowledged that it has something unwelcome and unpleasant within it, and has done what is necessary to remove it. Constant streams of the stuff, however, are a very different story – that can be a grave health risk to any canine. The first thing that you’ll have to do is identify which strain of diarrhea your dog is experiencing. 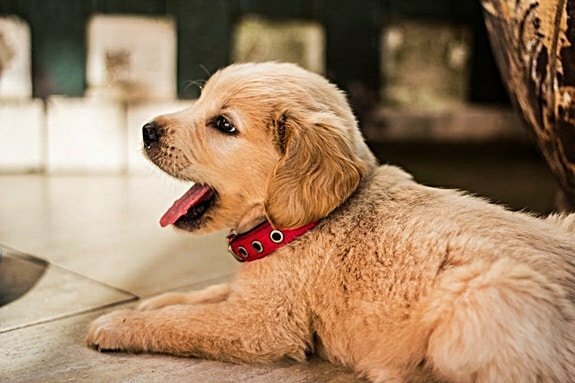 What Are the Types of Diarrhea in Dogs? Acute Watery Diarrhea – This is a sudden-onset ‘explosion.’ Have you ever had that moment where you have felt your stomach drop and know that you have to rush to the closest bathroom? Your dog has too, and that’s acute watery diarrhea. In such an instance, you’ll probably find that your dog looks nervous and makes it clear that they want to get outside ASAP if they’re at home, and they’ll race to the closest place that their stomach can metaphorically turn inside out and purge everything found within. Acute Bloody Diarrhea – The symptoms of this are the same the above, but as you can probably imagine it’s a lot more concerning – bloody diarrhea points to a medical problem from within the body as opposed to your dog’s body reacting to an unfriendly food source. If you spot blood in your dog’s diarrhea, make an appointment with a vet as quickly as possible. 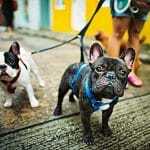 Persistent Diarrhea – This is perhaps the most worrying symptom of all in the dogs – their little bodies cannot cope with continually losing fluid and food through diarrhea, and a persistent diagnosis entails fourteen successive days of the condition. Most dogs will not last this long, so if your dog has more than 24 hours of diarrhea, it is worth seeking the help and advice of a professional. If your dog has been struck down by diarrhea, there are two potentially core reasons – something to do with their lifestyle or a health concern that will need to be investigated by a vet. Many different lifestyle choices and behaviors may have an impact on a dog’s stomach, most of which revolve around food and diet. These actions may result in avoidable digestive problems. The most common reason for a bout of acute watery diarrhea is that they have eaten something that disagreed with them. Just like humans, if a dog’s stomach is unhappy with what is sloshing around inside it, those contents will be expelled – fast. Changing your dog’s diet suddenly (never make a direct change from dry to wet food, for example, or from kibble to raw feeding – you’ll have to build your pet’s tolerance to this change over time). Your dog has been helping himself or herself to human food from your plate, especially if it contains spice or lactose. Eating such food will typically cause other problems for your dog, too. Check out our guide on what you can give your dog for gas and bloating, and you may be able to stave off the risk of diarrhea. Your dog has been raiding the garbage can or eating waste from the street that doesn’t agree with them. These foods may be taking a prolonged period to break down in your dog’s body, so the digestive tract attempts to take a fast track to flush them out. If your dog appears to be dropping the contents of their stomach after a meal, take a good, hard look at the ingredients found within the food. If it’s filled with additives, sugars, artificial flavorings and whoever knows what else, your dog’s body will reject and remove these offending components as quickly as they were consumed – or even faster! Canine palates may love treats, but their bodies crave a well-rounded, balanced diet complete with all the nutrients that they need to flourish. Diarrhea may be their way of communicating with you that they’re not receiving these. This can play havoc on your dog’s digestive tract, and it may not be unlikely for anybody with a nervous dog to find a variety of accidents waiting for them when they return home. If your dog is prone to diarrhea when they’re left alone, take a look at our guide on how to break a dog’s separation anxiety quickly. Also, keep a close eye on what may appear to be a stress trigger for your dog. Poor Fido may be losing his lunch as a result of any number of factors, and the fact that he is feeling under the weather and suffering from diarrhea will be just another thing to worry about. What Are the Medical Causes of Diarrhea in Dogs? It’s not just lifestyle can cause your dog to eliminate in a hurry, however. There are also many potential medical maladies that bring on a bout of diarrhea. Irritable Bowel Disease. IBS inflicts a great many dogs, and the reality of the condition is just like that in humans. It’s a result of inflammation, as opposed to a disease, which may be brought on by allergies or possibly stress. If you suspect that your dog is living with IBS, consult your vet and gain advice on the best combination of diet and medication. Parasitic Infestation. If your dog is living with a worm infestation within their gut, they will do whatever it takes to get rid of this and attempt to ease their discomfort – including purging their digestive tract through diarrhea. 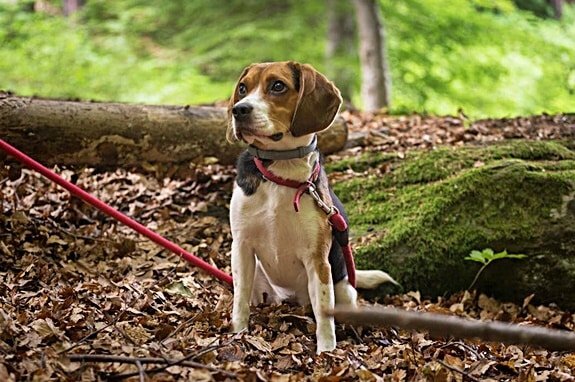 Keep an eye out for any telltale signs of worms in your dog, and take the necessary action. Bacterial Infection. Your dog may have contracted a bacterial infection through eating or inhaling something entirely unsuitable for canine consumption. These problems are usually treated with antibiotics, although as we’re about to discuss, this is not always a vet’s preferred approach. There may also be many different, altogether more concerning, medical complaints that cause this impact. Remember, if you have any concerns – or your dog is enduring regular bouts of diarrhea – seek help from a professional immediately. Your furry friend’s life may depend upon it. What is Antibiotic-Induced Diarrhea in Dogs? As we mentioned, a dog may have a bacterial infection (typical examples of this include salmonella), which will frequently result in diarrhea. Although the solution appears simple enough – a course of antibiotics – this isn’t a road many vets will go down. Many dogs have an allergy or intolerance to these medications, and won’t be able to complete the course. If you’re attempting to get your dog to take antibiotics for their diarrhea and their body reacts with a bout of diarrhea… you can probably fill in the blanks. There is little point in continuing with a medication that will make your dog sicker, and you’re better off using some of the natural remedies that we have discussed elsewhere in this guide. Never be shy about seeking a vet’s advice – it may be hugely important! If your dog shows any of the following symptoms as well as bouts of diarrhea, seek help from a vet straight away. The chances are, your dog is combatting something very unpleasant and time may be of the essence. Remember, diarrhea alone is not necessarily a reason to sound the alarm bells, but it can lead to other complications. If your dog is acting normal once they have released the problematic contents of their stomach, they’re probably fine. Just be vigilant about ensuring that it’s nothing more serious. Different forms of doggy diarrhea tend to mean different things, and some of them are significantly more concerning than others. 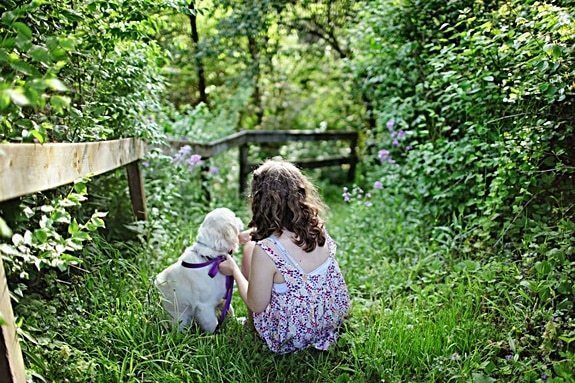 You can usually tell what your dog is trying to tell you by noting the color, shape, and solidity of your dog’s poop. It may not be very visually appealing, but take a look at your dog’s stool and assess what the cause may be. Regardless of whether your dog appears to be acting normally otherwise, in any of these situations, they will need to seek the help of a vet ASAP to prevent the problems from being aggravated further. 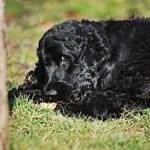 My Dog Has Black Stool and is Not Eating – This suggests that your dog is struggling with an ulcer in their stomach lining or the surrounding anatomy. These are hugely uncomfortable for your dog but easily treated by a vet. My Dog’s Stool is Flecked with White – If it appears that your dog’s poop is packed with grains of undigested white rice, they have worms. If you’re up-to-date with your treatments, it may be time to switch to a different brand, as they do not appear to be having the right impact. In the meantime, speak to your vet to clear up the unwelcome infestation. My Dog’s Stool is Green – This may not be anything relevant, as it could be a matter of your dog grazing on grass and is passing that through their system. However, green in the stool could also be a warning sign of a parasite, so it may well be worth discussing with a vet. My Dog’s Stool is Orange – This slightly bizarre appearance is a warning that your dog’s digestive tract is flooded with bile. This may be due to liver disease, or a case of your dog eating too fast and making themselves unwell. Either way, make an appointment with a vet post-haste, especially if your dog has orange diarrhea. My Dog Appears to Have Blood in Their Stool – Unsurprisingly, this is a worrying sign. If you find blood – or any red marks that resemble a raspberry ripple – in your dog’s stool, they may be experiencing internal bleeding, and this should be investigated as quickly as possible. My Dog’s Stool is Purple, and They’re Acting Out of Sorts – This is the very worst example of internal bleeding; it suggests that your dog’s gastric lining is hemorrhaging, and things could get worse very quickly. My Dog’s Stool is Yellow – This suggests that your dog’s stomach is far from mellow, and is battling an allergy or intolerance. Ensure you haven’t recently changed your dog’s diet, or that they are not allergic to the plastic bowl that they may eat from. What is the Ideal Size, Shape, and Color of a Dog Stool? It sounds a little grim, but there is an optimum size, shape, and color for dog poop. Medium brown in color, almost resembling chocolate, and consistent with their food intake in size. Medium hardness – not so soft as to be liquid, but not so hard that it’s difficult to pass and causes Fido pain. Not too sticky, leaving no remnants of poop on the ground after you’ve picked it up and bagged it. Take a look next time your canine does their business, and see if it fits these criteria. If so, you’re on the right track. If your dog’s stool resembles the world’s least appetizing dessert food, it isn’t necessarily something to worry about. A small amount of mucus in a dog’s poop is entirely normal, and a sign of good health. This mucus is caused by slime in the colon to help waste pass through the digestive tract without trouble. In fact, if your dog’s poop is as dry as a bone, it may be worth keeping an eye on as it suggests that your canine is in discomfort. There are, however, warning signs to look out for when it comes to mucus in canine waste. If it’s a different shade to the rest of the excrement, for example, refer back to our color guide and take a look at what could be occurring. If your dog is producing more or less mucus than usual – or nothing but mucus and no solid waste at all – get them to a vet, especially if the symptoms have persisted for over 24 hours. This is a sign that all is not well with Fido’s digestive tract, no matter how jovial he may otherwise be acting. If you find blood in your dog’s stool but they’re acting normal, it’s not a license to ignore the problem and hope that it goes away. If your dog experiences the unholy combination of mucus and blood in their stool, it suggests that they are a nasty parasite infection that will require treatment from a vet. It’s not going to be fun – especially if it’s in the context of diarrhea – but the best possible action may be to take a sample of your dog’s stool in such a scenario and take it to a vet for an examination. It’s would only be polite to call ahead and announce that you’re going to do this, though. Dropping a dog poop onto the receptionist’s desk unexpectedly may result in your being asked to leave. In most cases, however, a vet will be happy to take a look at this under a microscope and advise on how to treat. The net result with usually be an oral medication, possibly alongside some recommended lifestyle changes – the vet may be able to pinpoint an allergy or intolerance based on the results of their tests. None of this is said to worry or frighten you as a pooch parent. It’s possible that your dog is just having a moment of discomfort and no further action is necessary. As the old saying goes, however, it’s better to be safe than sorry, and a safety-first approach is always advisable where blood is concerned. One of the most significant risks of diarrhea is the fact that it can leave a dog dehydrated, which can be extremely dangerous – and potentially fatal. The reason why diarrhea and dehydration are so intrinsically linked is down to basic science. When your dog eliminates more than they ordinarily would on a healthy day, they will be losing all kinds of fluid from their body as well as nutrients from their food. That fluid will need to be replaced to keep them safe – but only in small doses. We’re about to discuss whether a dog should be placed on a fast after a bout of diarrhea, and the same restrictions could also apply to water – but only if your dog is larger in stature. 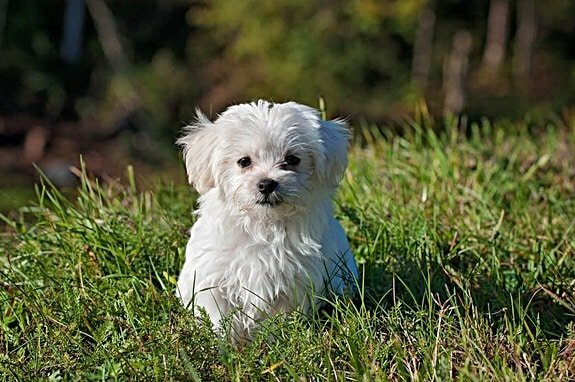 Smaller dogs cannot go without water for any prolonged period of time, as they don’t have much in reserve. If you have any questions at all surrounding how to approach suspected dehydration in your dog after they have diarrhea, check out our guide to what you should do if your dog is dehydrated. The advice contained within could turn out to be critical. Should I Stop My Dog Eating and Drinking After a Diarrhea Attack? It’s hugely important that your dog replaces the nutrients and fluids that they lost through diarrhea, but they should also give their body a break if that’s at all possible. This will help them flush out any toxins left in their digestive tract. If you have a small dog, allow them to eat and drink as normal – their little bellies will not have enough in reserve to cope with a fast on top of a diarrhea attack. If you have a larger breed, however, consider placing your dog on a 12-hour fast to clear out their digestive system and begin afresh with a clean colon. You can use ice cubes that Fido can lick in place of a bowl filled with water to keep them hydrated if you’re worried that your dog will gulp down fluid by the gallon and start the process all over again. When you are ready to reintroduce food to Fido, make sure that you keep the meal bland and easily digestible (boiled chicken on a bed of white rice, for example), as the last thing in the world that either of you wants is a repeat performance. If in doubt, stick with plain rice or something similar – and follow the advice for settling a dog’s stomach that we’re about to provide. If your dog has a bout of diarrhea, freaking out and at the ick factor will do nobody any good. It’s a fact of life, and your next step – once you’ve cleaned up the mess and removed the evidence – is to help treat your dog and try to ensure that it doesn’t happen again. Remember, if your dog seems fine after the incident, you can still follow this advice in an attempt at making them even more comfortable. If your dog suffers from repetitive bouts of diarrhea, however, seek medical attention sooner rather than later. Many humans like to sip on a glass of milk if they’re experiencing intestinal distress, but don’t be tempted to fill Fido’s bowl with moo juice. Remember that most dogs are lactose intolerant by their very nature, and you will just be pouring gasoline onto the fire of their diarrhea by giving them milk in substantial quantities. You can, however, follow these steps to create a remedy to soothe a canine’s stomach once they have suffered from a bout of diarrhea. Pour a small quantity of plain yogurt into a bowl. Make sure it has no artificial sweeteners (especially Xylitol, which is every bit as toxic to a dog as chocolate) within, and will offer plenty of good bacteria to your dog. Mix in any or all of the following ingredients – blended or crushed banana, sweet potato, plain oatmeal, and pumpkin. Encourage your dog to lick at this mixture (don’t guzzle it! ), and don’t worry if they only want a small amount before asking for something more substantial. This mix may stimulate their appetite and leave your dog begging for their dinner, which may help them replace any lost nutrients. If all else fails, this yogurt will repopulate the friendly bacteria within your pet’s gut. This is what will help soothe your canine’s stomach and hopefully prevent any further lavatorial unpleasantness. Can I Give My Dog Imodium for Diarrhea? Yes, you can in theory – but do so sparingly, as there are many caveats involved. The recommended dosage of Imodium for dogs is a little under half a tablet per 10 lbs. of body weight of your dog, so it’s only really recommended if your pet is a larger and heavier breed. You should also check with a vet before administering Imodium to a dog, as certain breeds have an innate sensitivity to the drug. Also be aware that Imodium will not ease any pain, and it may work a little too well and blocking them up and leave your dog constipated. This, of course, could end up opening the floodgates once again when the medication eventually wears off. Much like with Imodium, it is always advisable to speak to a vet before administering human OTC remedies to your dog in case any allergies or sensitivities need to be taken into consideration. However, some of the medications available in a typical supermarket or drugstore that may be able to sooth any stomach problems within your pooch by offering them a small amount of Pepto-Bismol, Pedialyte or a probiotic supplement. In addition to the medications outlined above, there are many different herbal and traditional remedies that will put a stop to your dog’s diarrhea. Don’t forget about prebiotic and probiotic supplements that can be picked up from any health food shop or drugstore, and also take some of the following under advisement. Of course, if you don’t want to be cleaning up diarrhea, you should help your dog avoid the condition in the first place. Feed Your Dog a Good Diet. The ideal diet for diarrhea in dogs will offer an optimum balance of nutrients, which should ensure that your dog does not purge the contents of their digestive tract. Also, ensure that they don’t gorge on leftover human food from your plate or the garbage! Consult your vet for advice if you have any questions about the best food to provide your canine with. Stay On Top of Your Dog’s Parasite Prevention Treatment. There are a variety of parasitic worms that would love to set up home on your dog’s colon – don’t allow them to do so! Make sure your dog is regularly wormed to keep their bowel movements healthy. Keep Your Dog Calm and Content. If you have an innately nervous dog – a rescue, perhaps – ensure that they are not triggered into an anxious response by aspects of day-to-day life. If you need help and advice on how to get a scared dog to trust you completely, we have you covered. Take Your Dog for Regular Veterinary Check– Taking Fido for a nose-to-tail once-over at least annually will help both owner and pet stay on top of any potential health concerns, and go a long way to preventing any unexpected explosions from your pet’s bowels. Doggy diarrhea is never fun, but it doesn’t have to be dangerous either – if your pet is acting normal and eating, it suggests that the problem can be resolved without too much trouble. You may not enjoy cleaning up after your furry friend, but it’s all a part of responsible pet ownership. Just make sure that you follow the advice contained within this guide, and you’ll have minimal need to worry about your dog’s innards making their way outside.